Sofa, chairs and cocktail table handcrafted in tonal resin wicker and topped with outdoor-grade cushions to withstand Mother Nature. 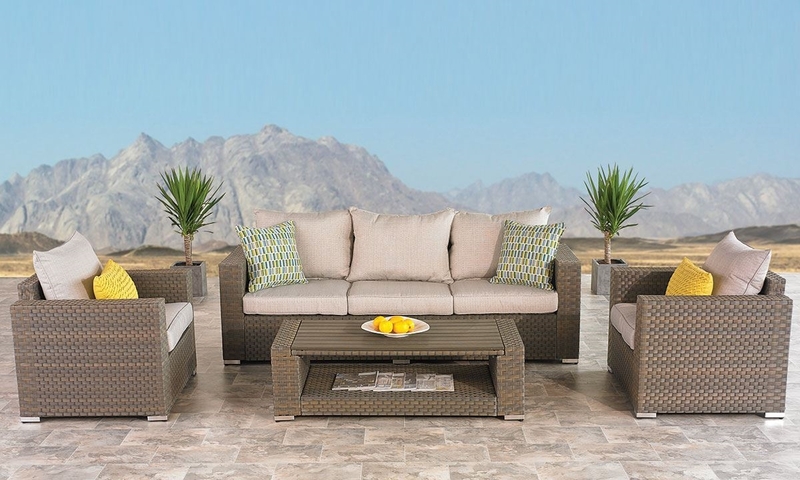 The La Jolla outdoor living room provides a contemporary look and comfortable seating that everyone will love. Its sofa, two chairs and cocktail table are handcrafted to withstand the elements with all-weather resin wicker over durable aluminum frames. Deep outdoor-grade foam cushions give the angular silhouettes a soft touch, while complementing the set’s warm grey and beige tones.